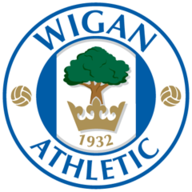 Omar Bogle scored twice on his first start for Wigan to help secure a 2-2 draw against Norwich in the Sky Bet Championship on Tuesday. The forward, who signed from Grimsby in January, brought Wigan level on the hour mark with a clinical header after Nelson Oliveira had nodded City in front towards the end of the first half. And Bogle was at it again midway through the second period by converting a 20-yard free-kick past a helpless John Ruddy. But just as Wigan were looking at reducing the gap to fourth-bottom Burton to three points - with a game in hand - they conceded a leveller when Mitchell Dijks headed home Alex Pritchard's corner shortly after. It was a mixed return to the DW Stadium for former Wigan winger Yanic Wildschut, who was substituted just after Wigan's second goal after being barracked by the home fans throughout. Wildschut's replacement at Wigan, Bogle, was almost in with only 13 minutes gone, racing through the right channel before seeing his shot parried behind off the legs of Ruddy. 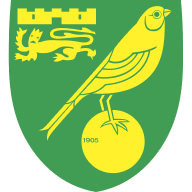 But Norwich gradually began to take over, and came within a whisker of taking a deserved lead midway through the first half. The ball found its way to Jonny Howson outside the Wigan box, and the Norwich midfielder took aim before lashing a stunning drive that beat Jakob Haugaard only to rebound off the bar. Russell Martin headed home the rebound from 10 yards, but the flag was up on the near side for offside - much to his disbelief. Wigan failed to clear their lines from another corner eight minutes before half-time, and Timm Klose looked a certain scorer only for Stephen Warnock to throw himself in the way of the ball and snuff out the danger. But the respite was only temporary, with Norwich taking a deserved advantage two minutes later. Pritchard sent over a teasing free-kick from the right-hand side, and Oliveira nodded home over the despairing fingertips of Haugaard from 12 yards. Wigan's response was to throw on Will Grigg at half-time, for James Weir, with Bogle dropping back into the hole behind the lone frontman. Grigg was quickly into the game as his attempted cross took a deflection off a Norwich defender and was helped over the bar by Ruddy. Wigan were almost in again on 59 minutes when Michael Jacobs' corner looked to have picked out Bogle, who could not get a clean connection on his close-range header. But Bogle was not to be denied, bringing Wigan level just after the hour mark. Again the danger stemmed from a Jacobs corner, and this time Bogle headed home to the delight of the home fans behind the goal. It got even better for Bogle and Wigan at the three-quarter mark, when he added his second goal to nose Wigan ahead. Wildschut it was who tripped Jacobs on the edge of the area, and Bogle stepped up to smash home the free-kick from 20 yards. Wildschut was put out of his misery seconds later when he was substituted, and Norwich's fortunes immediately improved, with Dijks heading home from close range. Both sides had chances to win it in a frantic last 15 minutes, with Sam Morsy having a shot blocked by Youssouf Mulumbu, before firing over from the rebound. Then, at the other end, Josh Murphy saw a low shot brilliant saved by Haugaard at point-blank range. "I'm disappointed we don't end up winning the game, because I felt we deserved the three points. I was happy with the whole team - the effort, the commitment, the work-rate, the desire...coming back from conceding a poor goal just before half-time. I thought we were good value to have taken the lead, and it's disappointing not to see it through." "I thought we were the better side in the first half and we controlled the game, we should have been more than 1-0 up., The frustration for me is that the goal that Russell Martin scored was onside having watched it back. "In the second half, we started well, and then they got a couple of balls down the sides, got a couple of set-plays, scored from a set-play and I thought that was a turning point for 15 minutes. "They started getting a bit of pressure and they were picking up second balls and we couldn't keep it up top, then obviously they get the free-kick and manage to score that. "We were frustrated tonight as a group. We feel we should have won it. We made it difficult for ourselves."